When Beth Beauchamp started Intercoastal Realty in 1979, she knew she wanted this company to set a new standard for any real estate business. Beth initially listed “only” waterfront property and over many years, when you saw Intercoastal Realty’s red post with its unique “belaying” pin cross bar, you knew the property was on the water Her way of doing things was to work hard and smart for all her buyers and sellers and for the last 34 years, Intercoastal Realty has built a reputation for fairness, ethical behavior and in depth knowledge of their market. Through the years, Intercoastal has had many “firsts”. Intercoastal had an interactive window where a potential buyer could touch the window and get information long before the miracles of the internet were well known. It started one of the first websites and started publishing its own company magazine which has now become both print and digital. As technology spread to every facet of our society, Intercoastal continued to stay current with all the improvements. This website is a custom designed website which performs communication tasks that become more awesome every day. Intercoastal is still owned and managed by Beth and her family. Her belief has always been that you can embrace all the new technology but personal knowledge is key. Intercoastal Realty associates will take a new buyer on an educational tour of the potential neighborhoods so that a buyer can see up close and personal what kind of neighborhood they may be living in. Our associates know every subdivision, its good points and bad points, where to go shopping, dining or out to have fun. 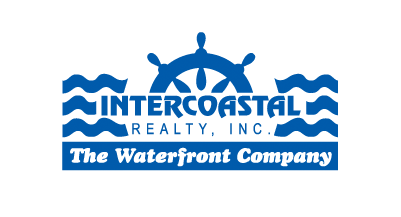 Although the decision was made to expand our market to non-waterfront properties several years ago, Intercoastal’s knowledge of waterfront rules and regulations is still fine tuned. For the yachtsman, we know bridge heights and opening times, depth of water for deeper draft boats, beam limits on canals and so much more from all the years of experience. Often this experience brings a new perspective to a buyer whose knowledge of a neighborhood comes from national companies that gather information but are not familiar with the nuances that create value in a property. Wisdom comes from age and experience more so than online data. Information and data are not always knowledge-knowledge is incremental and builds over time. Intercoastal Realty has been proving that for many years. Our objective is to counsel our buyers and sellers until they are familiar enough with a property and a neighborhood to make an educated decision. When that happens, we know that we will have a satisfied buyer and a satisfied seller. Our job has been done well.